Whether I spend the holidays at home, travel widely, or simply go to grandma’s house, I feel compelled to take the camera with me. What’s a trip, however short, without a photo? Since this is almost Christmas, I thought I would write about Christmas travel past and present. I’m not going to undergo a Scrooge-like transformation, but I will post a few pictures to get us all in the mood. 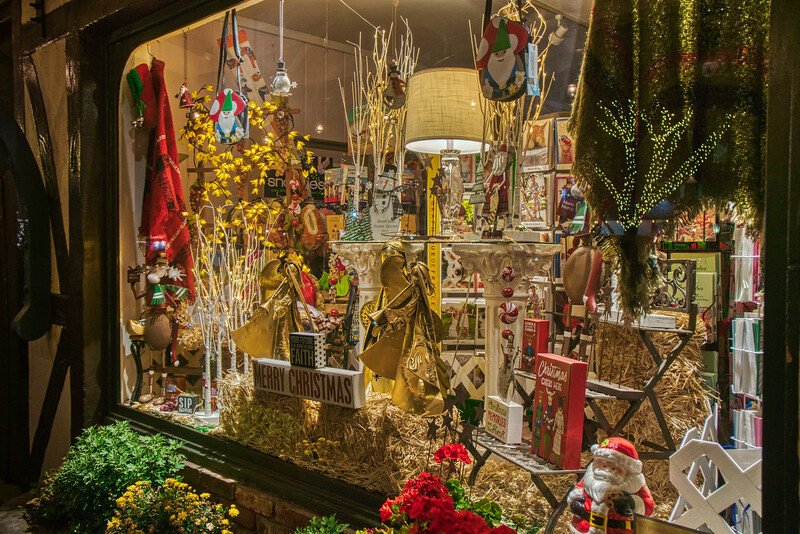 I enjoy the glow from lighted windows, so when I stopped in front of this shop in Solvang one December evening a few years ago, I couldn’t resist trying to capture it. It was early evening, and a few people were walking about shopping for souvenirs. 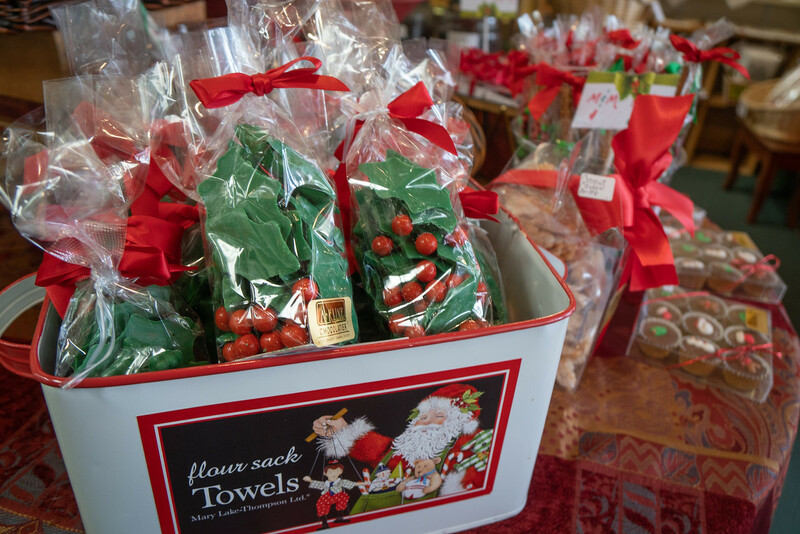 Solvang prides itself on its Danish traditions. Christmas is a great time to visit and sample the delights in stores like the one above. Better yet, purchase some holiday pastries from one of the many bakeries! If my schedule permits, I like to stop by the John Rains House in Rancho Cucamonga. The historical society presents a holiday open house on the first Saturday of December. It’s a small community affair but very warm and cozy. 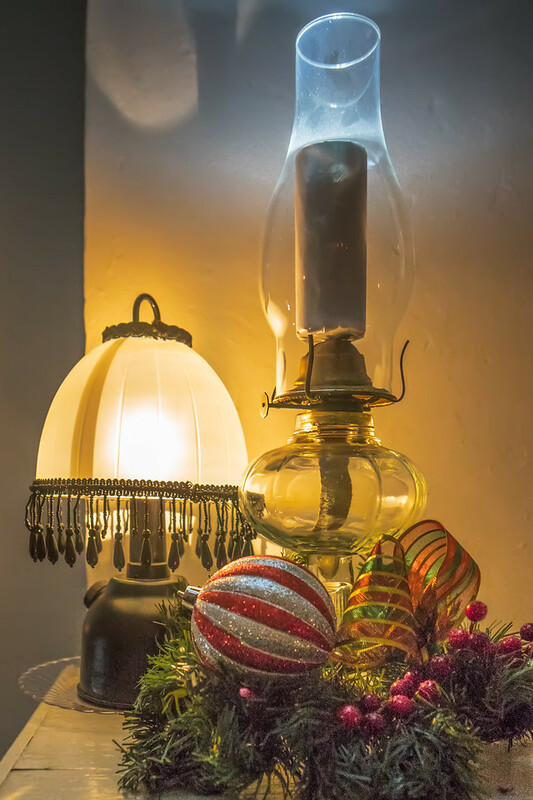 These lamps were on the mantel in one of the rooms in the house. They gave off such a nice glow! Speaking of glow, one year I traveled to Newport Beach to cruise the harbor and take in the Christmas Boat Parade. Boats of all sizes were decorated for the event; this story’s title image is one such boat. 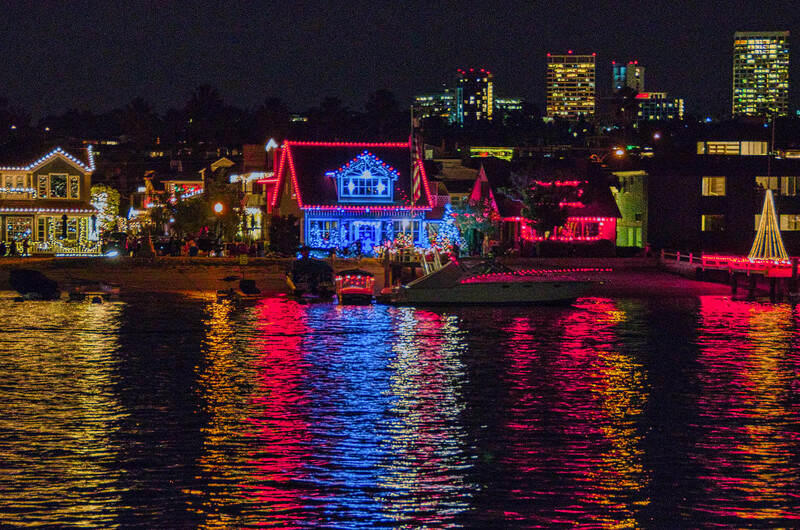 In addition to the boats, the homes along the shore were also bedecked with lights for the holidays. This cruise is a lovely outing during the holidays. I recommend it if you’re looking for something slightly different. Of course, tradition is important at this time of year. One small outing my family and I have made for years is a trip to Claremont. We usually walk about the Village and do a little shopping. No trip is complete without a stop at the A-Kline Chocolatier shop. We used to purchase fudge and peanut brittle as well as candy canes and small stocking stuffer things. Now, I try to stay away from giving too many gifts that are fattening or loaded with sugar. I do buy a few small items, just because it’s Christmas. I’ll confess these holly leaves were far too tempting last year. I used them to decorate a cake, and then finished them off the rest of the year! Oh dear! Now the world knows my secret! Can Christmas be complete without a family outing to the mall to see Santa? I count my annual shopping trip as Christmas travel because I’m not a shopper. I seldom visit the mall at any other time of year. 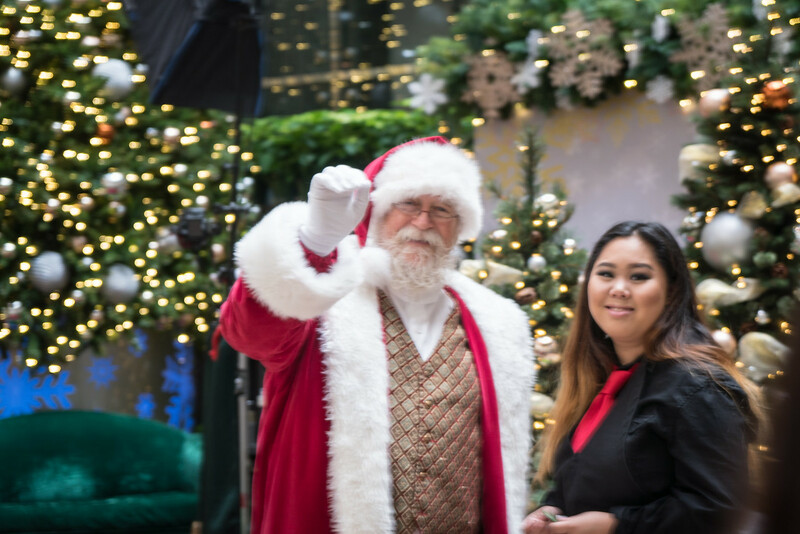 A friendly wave from Santa at the mall, part of my annual Christmas outing. So along with Santa, I send a wave and a wish for a safe and happy holiday. To see more images from my Christmas Travel collection, click here.